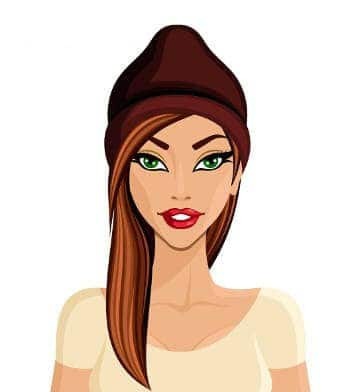 Have you ever noticed that people who call you lazy think that you are not doing what THEY want you to do at a fast enough pace? When you work really hard all week at work or school, you might enjoy relaxing around the house on your day off and not being particularly active. Zack worked as a web developer during the week and had a really demanding workload. His wife couldn’t figure out why he didn’t want to go hike a mountain early Saturday morning or meet friends for brunch. She also would get annoyed if he didn’t take out the garbage right away when she asked him to do it. Zack’s wife just didn’t get that he needs to relax and recharge before he was ready to go other stuff. If you are being nagged for not doing something right away and being told off for being lazy, you might enjoy using one of our snappy comebacks below. You say I'm lazy, I'm just on energy-saving mode. Please, I work harder than an ugly stripper. I'm not lazy, I'm just happiest doing nothing. Lazy is such an ugly word. 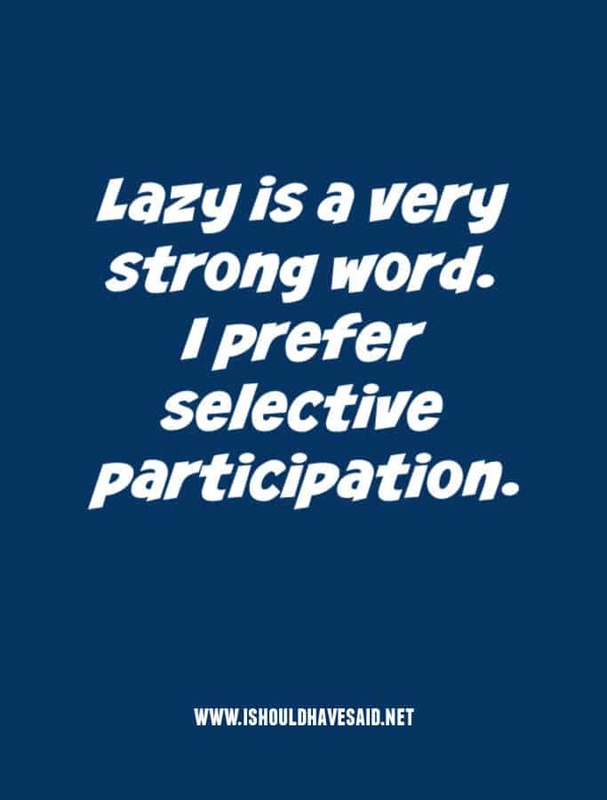 I prefer the term selective participation. 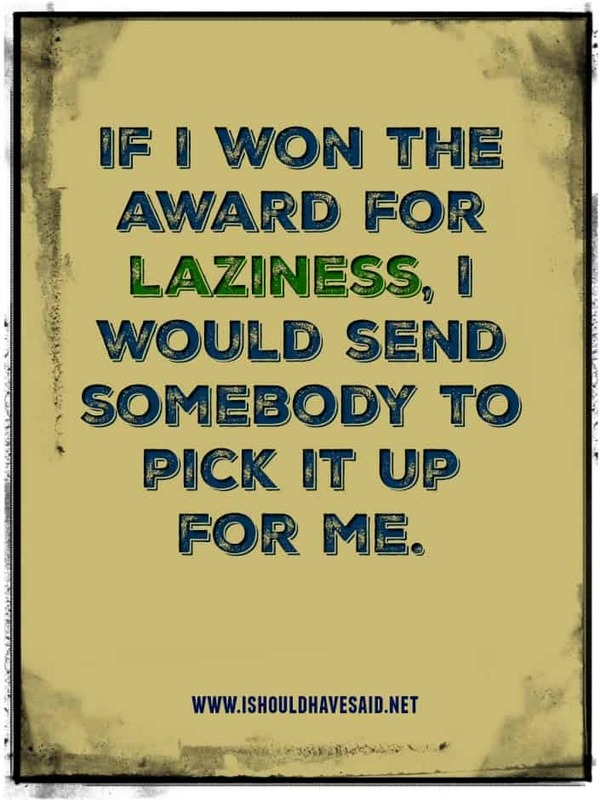 They said “your so lazy”, it’s supposed to be “you’re so lazy.” duhh! I am not being lazy, I’m energy efficient. 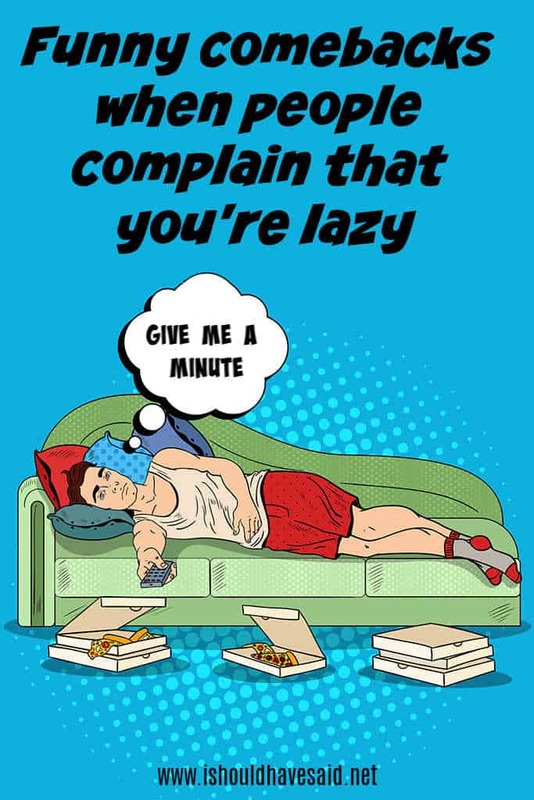 I’m not lazy. My legs just don’t respond to my brain.